2nd Budapest Classic Film Marathon 4th to 9th September, 2018. District, VIII., 21. Rákóczi Rd. The film marathon will take place at the Toldi Cinema, Uránia National Film Theater and the French Institute – Budapest and at the City of Győr and Eger. In the following 6 days, 60 classics can be seen in the Uránia Cinema and Toldi movie studio. 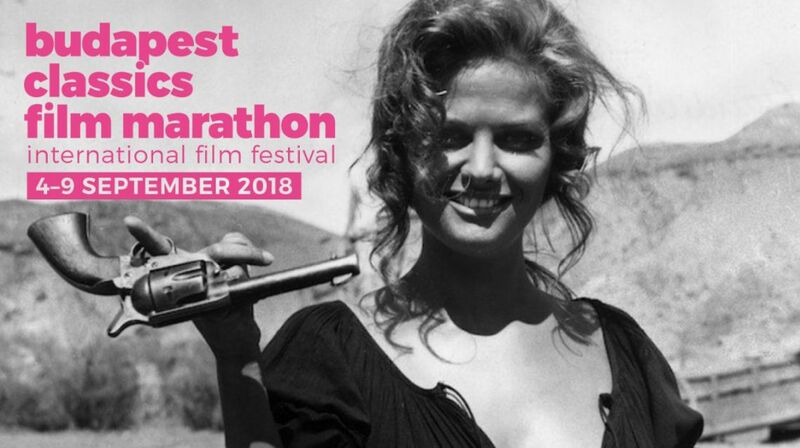 In addition, will be able to get together with world stars such as Claudia Cardinale (The Leopard, Once Upon a Time in the West and 8 and ½), Klaus Maria Brandauer (Mephisto – Colonel Redl, – Far from Africa) and Jean-Marc Barr (A Big Blue and Europe). On Tuesday, September, 4, Gala show with our first Oscar-winning feature film, this year digitally restored Mephisto will open the 2nd Classical Budapest Film Marathon at the Uránia cinema. Will be present actor Klaus Maria Brandauer, filmmaker István Szabó and David Robinson film critics. István Szabó’s other restored works, such as “Father” or “Lovefilm” and Ralph Fiennes‘s starring 1999’s Sunshine will be in the program. Claudia Cardinale, the perfect diva, will be present on Thursday, September, 6, 7 p.m. to watch the refreshed copy of the „The Leopard”. In the year 1963, when the „The Leopard” was released was the turning point in her career, and simultaneously turned into adaptation to Visconti with the great Italian romantic novel and and „Fellini “8 and ½”. On Friday September,7., film director István Szabó talking with Katinka Faragó – Ingmar Bergman’s assistant, to discuss the Swedish giant of the modern movie “The Magic Flute” the film is projected in two installments, with a pause.After approximately 3/4 hour a podium discussions at the stage will take pace. Pn Sunday, September, 9., The cult of Hungarian animation the “Macskafogó”(Cat catcher) will be presented in the presence of the director – Béla Ternovszky with renewed copies. The film hits the stage accompanying with the Fourtissimo jazz band. Also on Friday, September, 9., screening of the refurbished copy of the film – “Sosem halunk meg” (We will never die) director – Róbert Koltai, Gábor Halász, and composer – László Dés also will be there. Tickets available at the venue on the spot at the ticket counter.